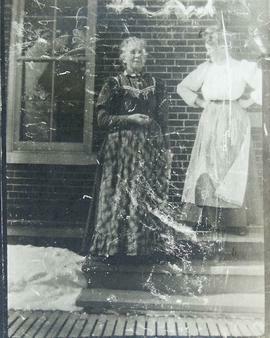 EF Campbell and her mother. 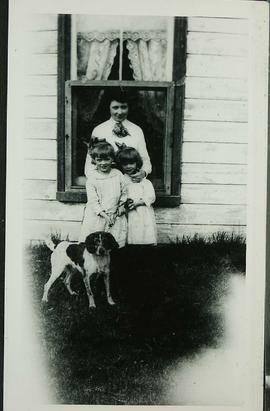 Maggie (Campbell) Ferrier, Bert Ferrier, Jackie Ferrier and baby Isobel. 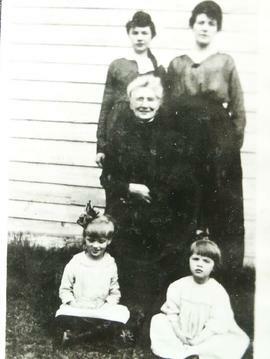 Maggie and Flossie Campbell with their mother Bessie MacDonald Campbell (widow of John Thomas Campbell) and Eileen and Dorothy Bird (foster children). 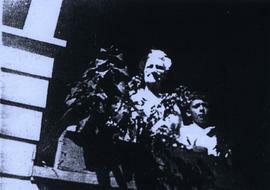 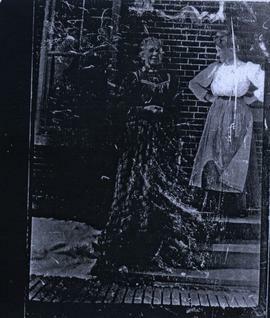 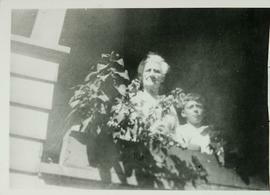 E.F. Campbell and her mother. 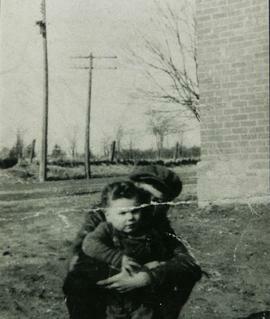 If you have any additional information about this photo please contact the library at 905-775-3328. 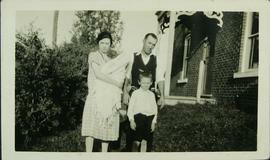 Earl Campbell and parents Edith (Peters) Campbell and John MacDonald Campbell. 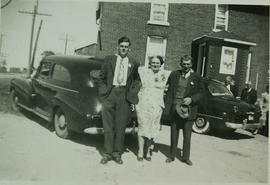 David, Flossie and John "Mac" Campbell. 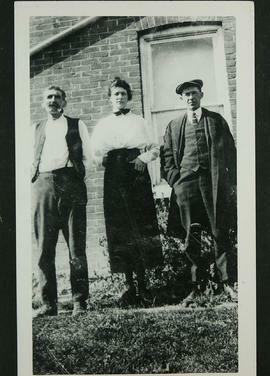 Lorne Campbell and Thomas Judd Campbell.